Somewhat Quirky: What A Trip! Well I took another trip this week. It was all consuming. Completely. I went to a place I'd never been before. And let me tell you. It was really hard to leave. I didn't as much go somewhere as I was consumed by somewhere. It was really hard to come back to real life. I got back about 11 p.m. last night and I'm a little lonely today. A lot happened while I was there. There was a wedding. There were babies born. There were deaths. There were schemes. And stubbornness. And lying. And love. And hate. And successes. And failures. And injustices. And redemption. And traditions. And more love. And finally, a shocking death. Many (most) of you have already been there. I was a late adopter. That's what I do. Adopt late sometimes. Anyway. As I said, most of you have been there already. And you always come back telling all about it. But I ignored you. I was probably secretly envious. Because I have been to Yorkshire. 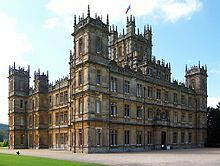 I have been to Downton Abby. Thank goodness Xfinity had Watchathon Week! As soon as I could I packed and left all reality for my visit. It was a short trip. Only three days. You see I had never seen an episode of Downton Abby and I didn't want to start watching any of it until I had the time/opportunity to start at the very beginning. So I did. I Started at the beginning, and ate take out didn't bathe didn't exercise didn't talk to anyone didn't blog didn't stop until the bitter end. The end of Season 3 that is. But now I'm back. And I miss my friends. I want to know how Mary is doing. I feel bad for her loosing her husband and all. Maybe I should bake her a cake. I have some great recipes. Do you think she would appreciate something baked in a mason jar? Or would they find it gauche? I'm wondering if Thom is going to be able to carry out Matthew's plans for the estate without him. Do you think he will need to check out my Pinterest gardening boards? I really want to have Mr. Bates and Anna over for dinner. They are the kindest people I know. I want to take Mr. Bates to see my orthopedist. I'm sure he could help him. I would love to cater their next outdoor event. I would serve this, or this, or this... and maybe these. I bet they would fancy my cooking.Most people of high standing and good taste do. Oh, I forgot about these. They might be scandalous! Do you think I could somehow score that fab kitchen table that the servants gather 'round for meals and such? Now I'm back. And I'm itching to make something. So I'm going to make something wonderful today! How about you? Excited to see whatever you make. oooo...now you can read my recaps and "get" them! Yay! I bought all three series on iTunes and I watch them over and over and over and over... I am so hooked on that show!!! Love it, never get tired of it. Wish I knew what it was that holds me so firmly in its grasp. How fun to watch it all...it's a wonderful show! Coming by to let you know that you were in the top five most viewed links at my party last week. Come on by and grab my featured button for your blog. I just assumed you had already seen the show. It's so lovely. Now don't do the same thing with Walking Dead. I told you I had decided to not continue watching that, but I did anyway. Getting completely absorbed into Downton Abbeyville is all fine dining, making sure you're dressed appropriately, and such. Getting completely absorbed in a zombie apocolypse is not healthy. I took a walk this morning while it was still dark and I was very uncomfortable and if I wake up during the night, I think about zombies. I've really done a bad thing to myself. Don't you just love Mrs. Padmore, the cook. I think she might be my favorite of the staff. It's so lovely to have you along on our little trip! I hate waiting for each season to start! Before each new season we watch the whole last season so we can be all primed up....I personally think Mary may develop some feelings for Thom....after all they have those two babies, she's such a rebel, and he's such a manly man! Oh no. So now I'm alone, the only person who hasn't watched even one episode? I will probably be flogged and shunned. Another convert. I love it. I just started watching season 3 this year and then went back to season 1. Still haven't seen the second season yet. Waiting to rent it. I feel so transformed in time when I settle in to watch each episode. It's so wonderful that I too hate to leave it. Welcome, friend, to the Downton family. We all are family, you know, once we've had our personal Downton Marithon! Yes, Downton is addictive! Yes, the decor and costumes are lovely! Yes, we'll miss Matthew, (my favorite character)! This is a lovely post that brought back all my similar feelings about Downton. Thanks! allright!! I think I need to get on this train!! Ive heard good things about this show! 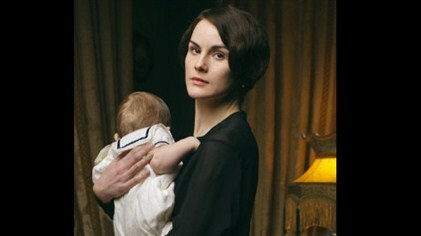 I'm going thru Downton withdrawal - I need a fix! Thanks for giving me a little of it today! I'm with you all the way! I never thought Downton would engage me as it has and, although the script might be very soap-like at times, it's impossible to resist, I think, because of the superb acting! You might be interested in reading an interview from 2004 that I did with Hugh Bonneville, now republished on my theatre, as opposed to design, blog: http://roguesandvagabonds.wordpress.com/2013/03/07/interview-•-hugh-bonneville-•-2004/. Have a great day! I enjoyed every single episode and can't wait until next season! Oh yes! I have taken many trips! It's so hard to let go between seasons!